John Allen “Jack” Stewart, 89, passed away on May 28, 2016. Jack was born on April 5, 1927, to Preston and Hattie Belle (Ray) Stewart in Tucson, Arizona.The Stewart family moved to his current homestead in the Beeville/Orangedale area when he was five years old. He was a WWII veteran serving in the U.S. Army, stationed in occupied Berlin, Germany. Jack married Martha Sarah Green of Beeville on September 3,1948. She preceded him in death on February 4,1992, after 43 years of marriage. He married Jo Ann Novak on November 13, 2004, in her hometown of Fashing, Texas. He was member of the First Baptist Church of Beeville, the Masonic Lodge, the Emmaus Group and served as a B.I.S.D. Board Member. 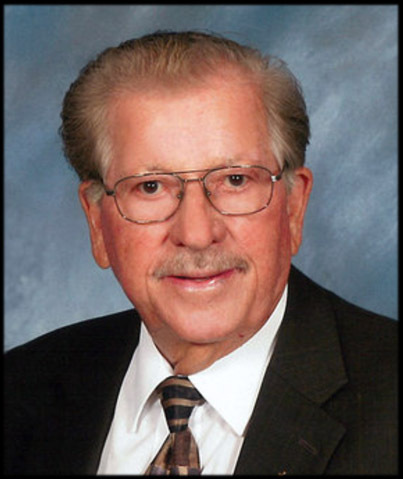 He was a well-known general contractor for 45 years, building and remodeling many homes and businesses in Beeville. Those who knew Jack well knew that ranching and hunting were first and foremost among his many enjoyments in life, as well as spending time with his beloved children and grandchildren. He taught each of his children the importance and joy of loving the Lord. Jack is also preceded in death by his parents, Preston and Hattie Belle Stewart; as well as six brothers and sisters, Josephine Haynes, Edgar Preston Stewart, Tommy Renfro Stewart, Robert Lee Stewart, Ellen Ruth Mims and Joyce Elaine Moody. He is survived by his wife, Jo Ann Stewart of Beeville; two daughters, Debby Kay Park and husband Trey of Beeville; Marilyn Jane Breidenbach and husband John Claude of Beeville; one son, Jon Allan Stewart of New York City; two step daughters, Sherry Novak Barker and husband, Connard of Montgomery, Texas; Bonnie Novak Schendel and husband, Todd of Beeville; one step-son, Steven Dale Novak and wife Shawn of Calallen; four grandchildren, Jaclyn Park Wallace (Derek), Blair Park Elias (Philip), Colton Park (Taylor), Samantha Breidenbach Adkins (Kevin); seven step-grandchildren, Cody Barker (Jeannie), Chase Barker, Tiffany Schendel Tindol (Garrett), Natalie Schendel Crotwell (Mancil), Kelsey Schendel Crotwell (Landon), Ashton Novak Friedel (Taylor) and Colton Novak; five great grandchildren, Park Ryder Elias, Weslie Blair Elias, Dawson Kay Wallace, Madelyn Ann Tindol and Barrett Barker; two sisters, Irene Ross of Beeville and Shirley Jane DeMoss of Paradise, California; and one brother, James Ray Stewart of Tyler. Visitation wias held from 5 to 7 p.m. on Tuesday, May 31, 2016, at Galloway & Sons Funeral Home Chapel in Beeville. Funeral service was held at 2 p.m. on Wednesday, June 1, 2016, at First Baptist Church. Interment followed in Beeville Memorial Park. Pallbearers were Colton Park, Colton Novak, John Claude Breidenbach, Kenny Stewart, Morgan Hughes, Gilbert Polasek, Todd Schendel and Jon Stewart. Honorary pallbearers were Leonard Jones, James Stewart, Kyle Mansker, Jerome “Buckshot” Boenig, Leslie Wren, Melvin Roberts, Glen Duhon, Pat Kelley, George Duffy, Tommy Hensley, Jim Patzke and Joe Lyvers.